Not sure if you can call this a ”recipe”, but it’s super simple and with kids and pets and ballet and karate and skiing and snowboarding and working and so on, it’s a meal that I rely on because it is so fast and everyone likes it. Unfortunately, I don’t have time to make Beef Burgundy Soup every day. Please read along as fast as you can because I am writing and cooking at the speed of light today. Or read it aloud, really fast. That should do it. 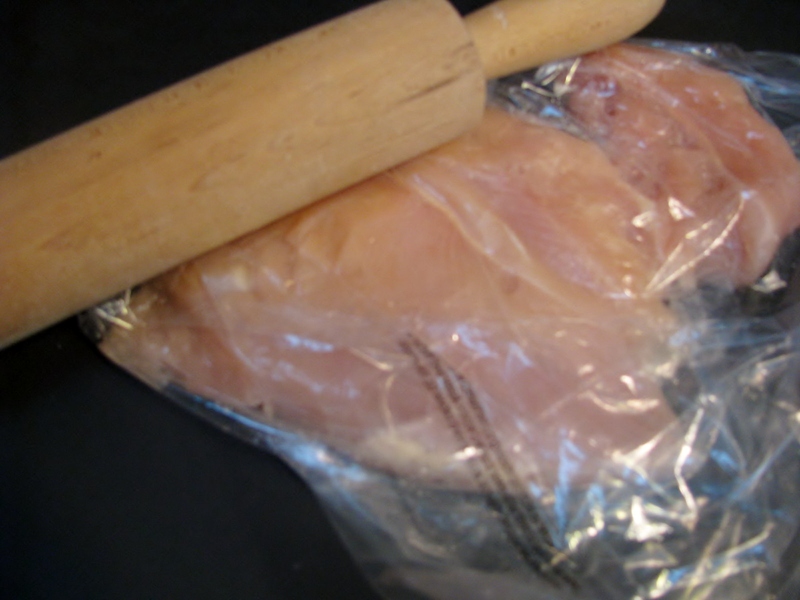 Pound as many chicken breasts as you or your family will eat until they are a uniform thickness. You can use a meat mallet, but I prefer to put the meat in a plastic bag and pound it with a wooden rolling pin. It makes clean-up so easy. It’s a bit noisy, but gets rid of lots of aggression, if you have any. My chicken breasts are nice and thin. Use your favorite Zesty Italian Dressing, or Raspberry Vinaigrette or any other type of oil-and-vinegar-based dressing that you like, and pour it over the chicken breasts. Coat both sides. If you have time, you can let them marinate for a few minutes. If not, just put them right on the grill. 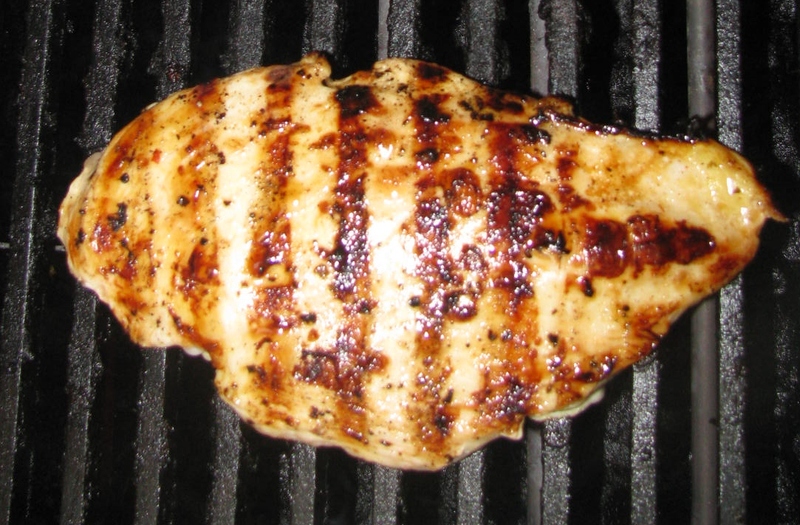 Grill until juices run clear and meat is no longer pink. Cooking time will vary depending upon how much aggression you used to pound your chicken breasts and how thin they are. Cut the chicken into chunks or strips and place over your favorite lettuce salad. Serve. That was faster than Rachel Ray’s 30-minute-meal any day! OK, I said this recipe was fast and easy. I was in such a hurry that as soon as the chicken was done, I cut it up, put it on the salad and we ate it before I realized that I had stopped taking pictures after the meat was off of the grill. And then we were out the door. I hope you enjoy this Salad with Grilled Chicken. P.S. I was kidding about Chopin. He is really thinking, “Please, will you drop some chicken on the floor? Please, please, please?” Or maybe he was just beginning to yawn. Thanks for the comment, I think. When my husband says I’m funny, he usually means weird/strange/odd. He’a a really hard act to follow in the funny/comical department. Thanks for stopping by! Just found your site – love it – I also want to live in France (or Ireland). I love French history, culture, fashion and attitude – and I have a maltese. I look forward to reading! Thank you for your comment. I have never been to Ireland but I’m right there with you in France or even Spain, or Italy. Maybe we should start a group – Women who love all things French so much that they even get a French dog! 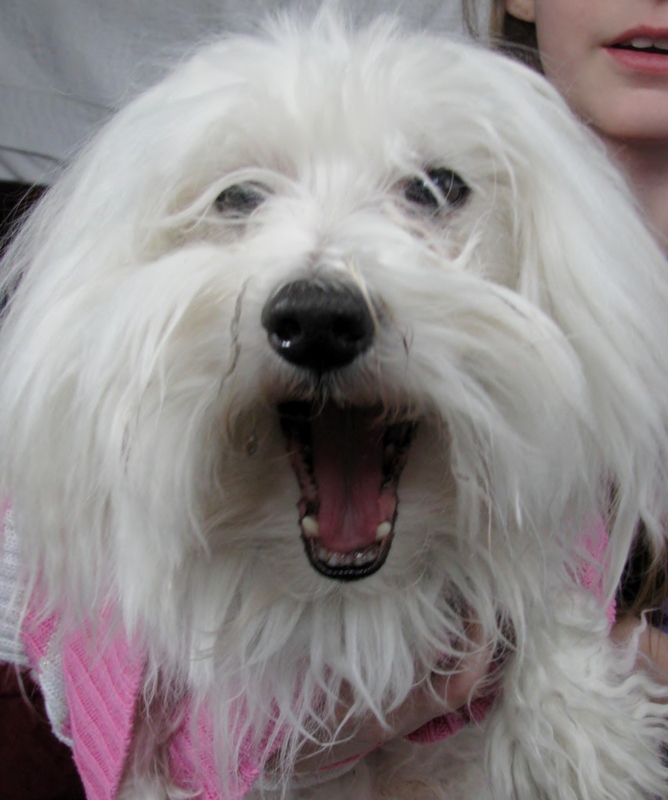 I want to post about my dog (he’s a Coton de Tulear – clearly related to the Maltese) as soon as my “company” leaves early next week. https://frenchtwistedwoman.com/2012/02/27/rise-and-shine-companys-coming Thanks so much for stopping by.